What’s that? Anchors need maintenance? They do if you have a Mantus. They’re terrific anchors that grab quickly and hold you in place like you’re welded to the bottom. But to make them easy to ship, they come in three pieces that you bolt together. And after three years of use, I just didn’t like the way the bolts on our 55 lb Mantus were looking. Loose scaly rust was developing on the ends. Now these aren’t your typical Home Depot variety galvanized steel bolts. They’re grade 5 high strength fasteners. 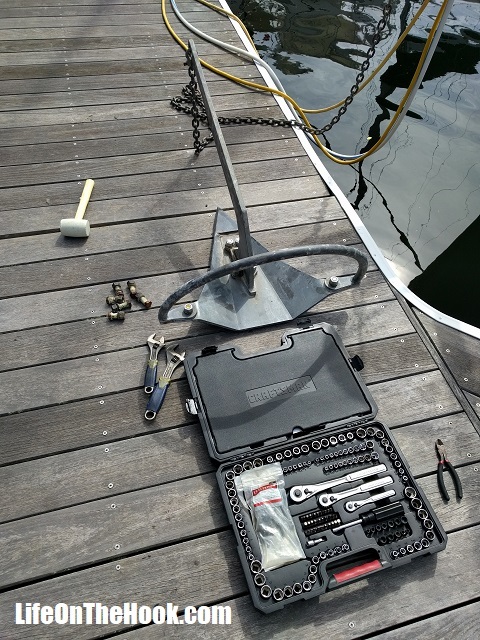 Fortunately, Mantus sells a replacement bolt package for just a few bucks (real bucks, not boat bucks! ), which can be ordered from their website. The bolts arrive with a package of Lanacote to apply to them to add corrosion protection. It’s been three years since I put The Beast together, and I’d forgotten that little fact. But when I took a wrench to what I thought were rusty bolts, they actually released very easily, and once removed, I could see that the threads and body of the bolts were pristine. The Lanacote had done a good job of protecting them, and they probably didn’t need to be replaced. The rust was limited just to the exposed ends. But for the minor expense involved, it was worth it for the peace of mind. Next, our Crosby 3/8″ shackle was looking a little corroded. I’ve always been conscious of the fact that the safety and security of our entire boat depends on this tiny piece of metal when at anchor, which is why we only use Crosby shackles for this vital role. It took all of five minutes to swap out the old one for a new one (we carry several spares onboard) and mouse it with stainless steel wire. Finally, it was once again time to re-mark the first 100 feet of our anchor rode. We’ve tried a variety of ways to mark the chain so that we know how much we pay out when anchoring. The cheapest and easiest way we’ve found is to just spray paint a mark on the chain every ten feet. We’ve tried several different types of paint, from fluorescent marking paint to galvanized steel primer before finally settling on white Rustoleum automotive enamel. Nothing holds up in salt water for more than about six months. 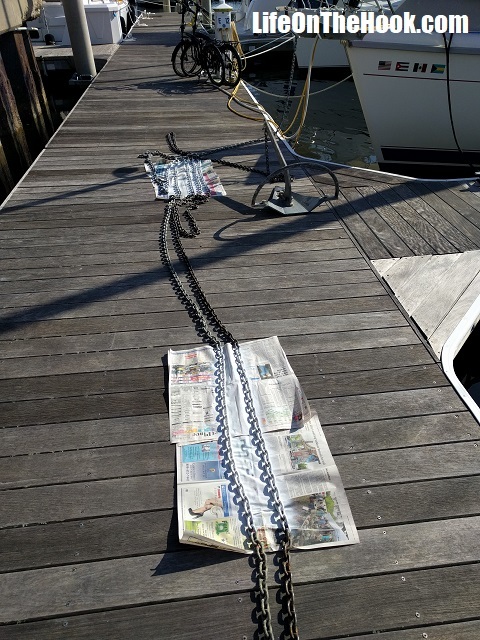 But it’s only about an hour’s work to lay the first 100 feet of chain on the dock and repaint it. 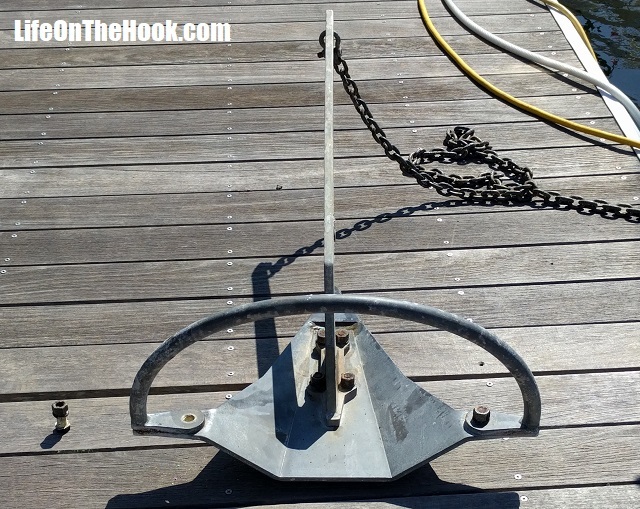 This entry was posted in Uncategorized and tagged Anchor maintenance, Mantus anchor maintenance, Marking anchor rode on October 20, 2018 by Robert. 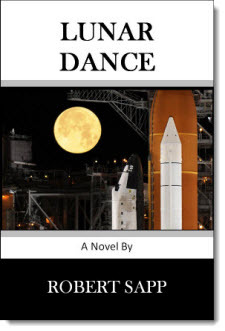 Buy My Book And Help Fund Our Adventure! Stay Up To Date with Life On The Hook! Robert on It’s Our Liveaboard-iversary! Deb on It’s Our Liveaboard-iversary!